With a steady evolution from their early days as a speed metal band to their current, renowned musical alchemy of glory, drama, and grandiosity, Germany’s Blind Guardian have long since made their mark as the world’s definitive melodic/progressive rock band. For many, they need no introduction, as the band possesses a track record and back catalogue of classic staples that perhaps only Iron Maiden can match. 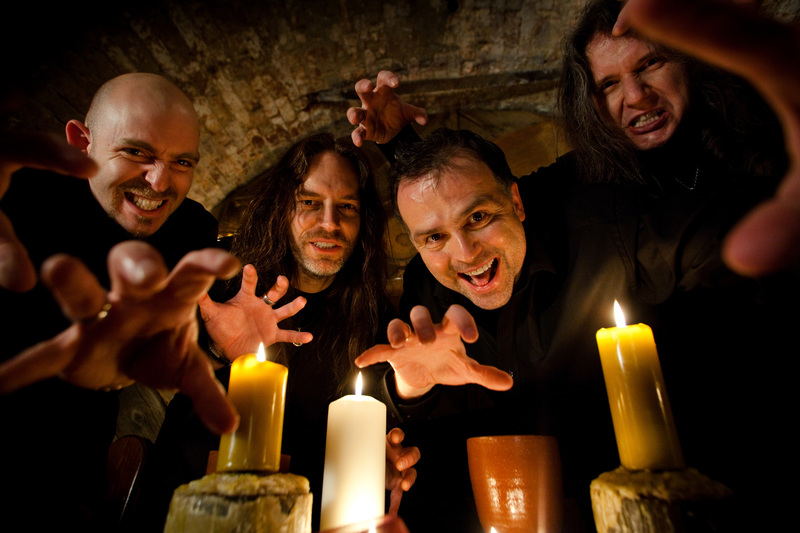 Called everything from heavy metal bards to modern-day minstrels, BLIND GUARDIAN possess the ability to transport their legions of fans to new landscapes with their majestic songwriting, fantastically themed lyrics, and their meticulous, emotion-packed music. Founded under the name Lucifer’s Heritage in Krefeld, Germany by vocalist & bassist Hansi Kürsch, lead guitarist André Olbrich, rhythm guitarist Marcus Dork, and drummer Thomen Stauch, the band released only two demos – 1985’s Symphonies Of Doom and 1986’s Battalions Of Fear – before landing a record deal with No Remorse Records. Inspired by the Fates Warning album, Awaken The Guardian, band members decided to change their name to Blind Guardian and soon acquired new rhythm guitarist Marcus Siepen. Produced by Kalle Trapp (Saxon, Grave Digger), their 1988 debut album, Battalions Of Fear, showed a heavy influence by Iron Maiden and Helloween. On 1989’s Follow The Blind (also produced by Trapp), they leaned toward Testament’s musical direction, but also experimented with orchestral parts for the first time. More significantly, the album served as their introduction to the Japanese market where they ranked high on the import charts for half a year, poising them for a possible breakthrough with their third release. 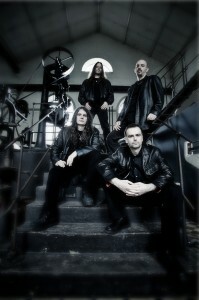 The band’s reputation continued to grow via word-of-mouth, and when Tales From The Twilight World sold 30,000 copies in their home country alone, Blind Guardian reached the critical juncture in their career they had hoped for. Not only did they feel they had become better musicians and songwriters; they also penned a very distinct sound in the process, and record labels across Europe began courting them. Signing with Virgin Records in 1992, they were one of the very few metal bands to be signed on a major label. Their Virgin debut, Somewhere Far Beyond, sold over 130,000 copies. After entering the international charts, Blind Guardian took their first trip to Japan to record their first live album, Tokyo Tales. Playing two sold-out audiences to over 4,000 enthused fans, the show captured how strong, special, and symbiotic the relationship between artist and audience can be. The summer of 1994 had BLIND GUARDIAN traveling to Sweet Silence Studios in Denmark to work with Flemming Rasmussen (Metallica) on the Imaginations From The Other Side album. After its release, they toured throughout Europe and secured themselves a very special international honor: they became the third-ever heavy metal band (after Metallica and Bon Jovi) to play in Thailand and received a heroes’ welcome into the country. 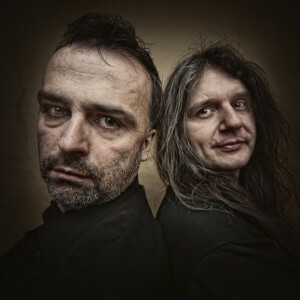 At this point in their career and with six successful albums in their discography, Blind Guardian opted not to release a standard “Best Of” compilation. Instead, to give their fans something truly special, they assembled The Forgotten Tales in 1996, a collection of a few cover songs (“Surfin’ USA,” “Barbara Ann,” and “Long Tall Sally”), a live version of the fan favorite “The Bard’s Song (In the Forest),” plus four acoustic versions and one orchestral arrangement of previously released Blind Guardian songs. Self-professed perfectionists, Blind Guardian were becoming known for making fans wait a few years for a new album. Honing their creative talents with the production assistance of Rasmussen and drawing major inspiration from J.R.R. Tolkien’s book The Silmarillion, 1998’s Nightfall In Middle-Earth quickly became regarded as a pinnacle achievement in the band’s career. This carefully constructed collection of twenty-two tracks harnessed not only power and speed, but opulent orchestral arrangements, renaissance-styled acoustic sequences, spoken word, and flute & violin passages, all complemented by the jovial stroke of a traveling troubadour’s effervescent spirit. In Europe, Blind Guardian toured more than ever before, and performed for the first time in new territories such as Mexico, Brazil, and Argentina. While the band was on the road gathering momentum and adding to their ever-expanding fan base, the demand for Blind Guardian’s music in new markets continued to grow. Thanks to a licensing deal with Century Media Records, Nightfall became the band’s first official release in North America and landed on the Billboard charts. Nightfall went on to sell over 300,000 copies worldwide. Securing a loyal international audience and increasing their album sales over ten times with six studio albums, Blind Guardian’s obviously lively combination of talent, drive, and unified vision helped them earn their laurels of success and granted them a much-revered reputation in the power metal realm that continues to this day. Making good on a promise made in the spring of 1997, vocalist Hansi Kürsch flew over to the U.S. in June of 1999 to team up with Iced Earth songwriter & guitarist and long-time friend Jon Schaffer on the Demons & Wizards project (the two first met while on tour together in Europe and began a lasting friendship). After the self-titled album was released in early 2000 and following a short European D&W summer tour, Blind Guardian began to resume work on their seventh studio album, A Night At The Opera. With the amount of work ahead of them due to their extensive tracking and the epic nature of the band’s musical orchestrations, the album took nearly seventeen months to complete. Teaming up with producer Charlie Bauerfeind (Helloween, Gamma Ray, Angra) at the band’s own Twilight Hall Studios in Grefrath-Oedt, Germany, the new material showcased a more aggressive version of Kürsch’s strongly emotive vocals, and cleaner, down-tuned guitar sounds. While the storytelling aspect of the band and the epic & grandiose studio performances remained intact, noticeably absent were the Tolkien-themed lyrics, but that would prove to be no hindrance to the success that waited them. The success of the album brought Blind Guardian over to North America for the first time, launched with an appearance at Atlanta, Georgia’s sold-out ProgPower III festival plus additional sold-out shows in major cities. 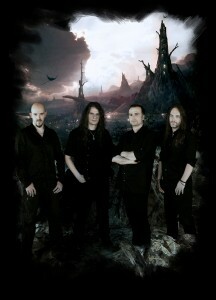 Sparked by the avid interest of their fervent, ever-growing fan base to see the band perform in a live setting (laying credence to Metal Edge’s claim that the band has “reinvented classic metal for a younger audience”), Blind Guardian released a 2-CD live album, Live, in 2003 and a double-disc DVD, Imaginations Through The Looking Glass, in 2004. Of note is that the latter was filmed at the first-ever, two-day Blind Guardian Open Air Festival in Coburg, Germany with the career-spanning set list voted upon entirely by fans before the festival, which ultimately translated into a truly vociferous crowd of over 6,000 on both days. 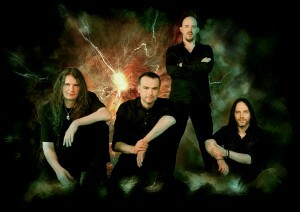 Early 2005 brought along several significant changes for Blind Guardian. 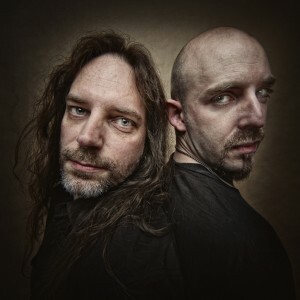 In addition to signing with Nuclear Blast Records, the band – who managed to keep the same line-up for almost two decades – welcomed new drummer Fredrik Ehmke into the fold following the departure of Thomen Stauch. Once again joined by producer Charlie Bauerfeind at Twilight Hall Studios and diving into production for their eighth studio album, the band set out to create another album’s worth of grandeur. The invigorating music on A Twist In The Myth satisfied on all counts, as demonstrated by the success of the “Fly” single, which debuted at very impressive international chart positions: #1 in Japan; #4 in Spain & Hungary; #29 in Sweden; #32 in Germany; #52 in Austria; and #94 in Switzerland. Debuting at #21 on the Billboard Top Independent Albums and #288 on the Top Albums charts, A Twist In The Myth was fueled by lyrics created from Kürsch’s love of reading and showcased the band’s drive to explore new musical terrain. Not only did Blind Guardian become the only band to play on all continents during the 2006/2007 touring season, but their audience attendance figures reached all-time highs. In 2008, the band crossed-over into the gaming world when they composed an exclusive song for the role-playing computer game “Sacred 2: Fallen Angel” and performed “on stage” as animated characters. This experience added extra creative fuel for what was to come as the band returned to their beloved Twilight Hall Studios in Germany. Four years in the making, the shining master work that is At The Edge Of Time proves yet again how Blind Guardian’s faith in their craft never wavers or falters. The focus on Blind Guardian’s signature multi-track orchestral compositions (which do not need any synthetic enhancements) has remained intact and combines song writing excellence, distinct character, and the highest collaboration & levels of musicianship into one. The opening hymn and emotional chorus of “Sacred Worlds”, the regal vocals in “Tanelorn (Into The Void),” the melancholy construction and huge choirs in “Road Of No Release,” the 210 bpm of the hyperfast “Ride Into Obsession,” the beautiful string and flute arrangements in the folk-flaired “Curse My Name,” the anthemic thrust of “Valkyries,” the majestic elements of “Control The Divine,” the somber piano sequences and message in “War Of The Thrones,” the velocity that drives “A Voice In The Dark,” and the multi-instrumentations in “Wheel Of Time” all find perfect balance within the artful grandeur of each song’s composition, the massively meticulous orchestrations, and the full, expressive range of Hansi Kürsch’s inimitable voice. Billboard Heatseekers chart and debuting at #108 on the Billboard Top 200 chart. In Canada, the album debuted at #18 on the Top Hard Music Albums chart and #108 on the Top 200 chart. In addition, the album was in the top 10 in the German Media Control Charts for 3 straight weeks, peaking at a never-before attained #2. Musically, only those with a solid sense of self and an insatiable curiosity to discover new aspects of themselves can initiate journeys of exploration. After all the worlds Blind Guardian have taken us to since 1988, few would believe there are still new lands to discover in their music. Thankfully, At The Edge Of Time frees us all from the concept of “terra firma” and transports us into the dimension of time, where imagination knows no limits, where all worlds exist at once, and where all existence is drenched in song for all time.